This week, The New York Times published an article, “Africa Holds Worst Rates for First-Day Baby Deaths, Report Says.” I silently groaned, thinking that Africa is often unfairly singled out as a poverty stricken, dismal place. These headlines bother me for the mere fact that there are not enough headlines highlighting the qualities that make the continent far from dismal. As Mother’s Day approaches, it’s hard not to take notice of the numbers. Africa does indeed have the highest rates of newborns dying within their first year of life. But we should also single out the work being done, by the women themselves, to improve the lives of mothers and children in their own communities. Take Sierra Leone, for example, one of the 14 countries highlighted in the “State of the World’s Mothers” report as having one of the highest maternal and child mortality rates for the first day of life. In fact, as highlighted in the report by Save the Children, the first day of a child’s life is the most dangerous for both the mother and child. 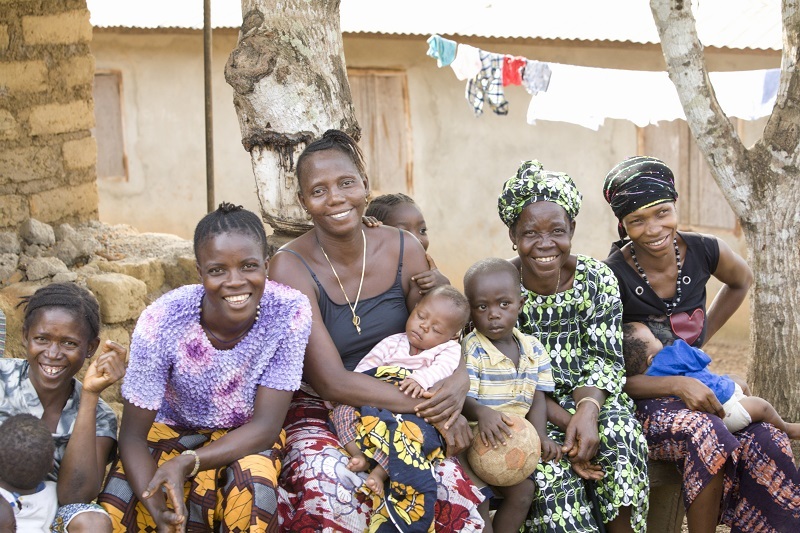 Mothers in Sierra Leone have the third highest mortality rate in the world, which seems to be more prevalent in countries recently overcoming conflict and civil unrest. For every 1,000 live births in Sierra Leone, 174 children will die before their fifth birthday. And 890 women will die for every 100,000 live births, according to data from the United Nations Development Programme. With that reality in mind, BRAC Sierra Leone is on the ground training women as Community Health Promoters, or CHPs. These women are provided the technical knowledge and skills to provide crucial ante-natal and post-natal care to mothers otherwise without access to these services. Besides CHPs gaining a professional opportunity and a sense of pride for their work, communities also gain skilled workers providing much needed care to mothers and their babies. For the occasion of Mother’s Day this year, BRAC is reaching out to its network of generous supporters to help support communities in Sierra Leone who face some of the worst conditions for mothers and their newborns. With donations matched dollar-for dollar, BRAC will provide technical training for 600 CHPs specializing in maternal healthcare, in addition to monthly refresher trainings. This will build upon the 700 CHPs that BRAC has already trained, creating a strong and empowered network of healthcare providers. This Mother’s Day, help us send a powerful message that No Mother Stands Alone.